Music streaming services are a clear indication of an ever-growing digital industry. Among a number of popular services is TIDAL, a unique subscription-based online music service owned by Jay-Z. TIDAL provides paying subscribers with lossless music streaming, high definition music videos, and exclusive content (which differentiates it from other freemium services). 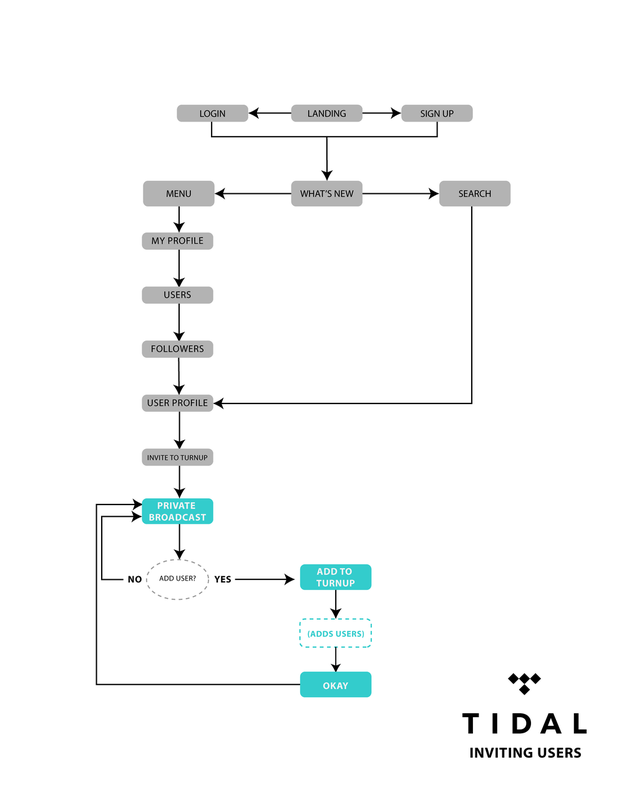 In collaboration with Designlab and Tidal, I designed a new feature that will optimize the user listening experience. 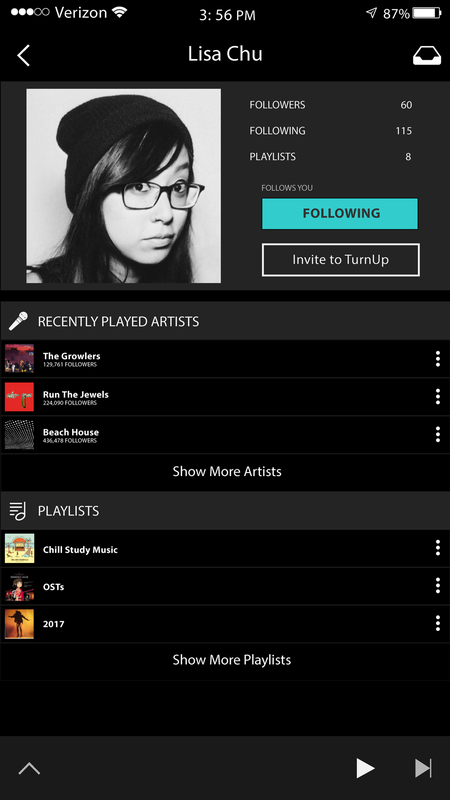 This new feature, TurnUp, will facilitate a closer connection among music enthusiasts (listeners and artists alike), allowing them to share, listen, and interact in real time regardless of location. The product will provide a means for artists and users to connect with one another more intimately. The feature will encourage sharing and collaboration on a global scale. Acknowledging the goals of this project, I began with a general survey to narrow down target customers. I interviewed individuals between the ages of 18-25 who actively subscribed to a music streaming service, asking when, where, and why to determine the influence of music on lifestyle. To channel in perspective, I created the persona, Olivia Berrett --a 21 year-old music-loving college student who embodied the target demographic-- and further elaborated on her lifestyle with an empathy map. Making note of business wants and needs, I looked into Tidal’s fierce competitors, analyzing two popular services with a similar agenda to Tidal: Spotify and Apple Music. Knowing what is needed and what is valued among competitors served as a guideline and helped clarify the overlap between customer goals and business goals. I applied all the information I had gathered to draft out sketches and low-fidelity models of the product, starting off with a general site map. I utilized both monitored and unmonitored methods to test the model, compiling tester feedback to improve my design. Below are my high-fidelity mockups for the app.